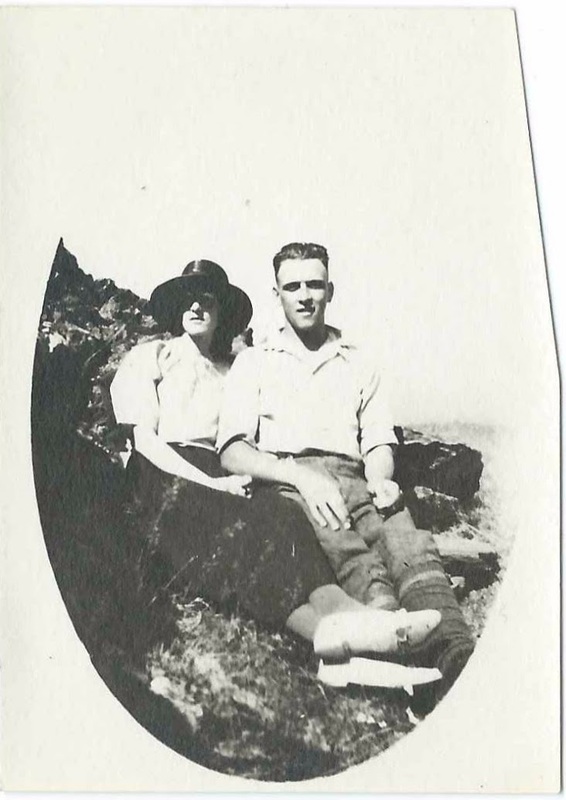 Lucille Augusta (Ramsdell) Mann and husband Cecil Waitstill Mann of Livermore Falls, Maine; shown above. 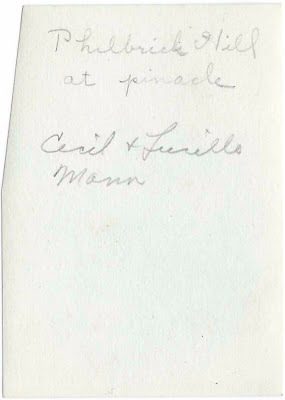 The photograph above of Lucille Augusta (Ramsdell) Mann and Cecil Waitstill Mann was taken atop Philbrick Hill at Jay, Maine; see a map below. Bertha Ellen Shore, shown above, was born about December 1878 at Lewiston, Maine, daughter of Arthur Shore and Mary Ellen (Brown) Shore, who were born in England and at Lewiston, Maine, respectively. Bertha married James W. Mann on November 5, 1898 at Lisbon, Maine, presumably in the Lisbon Falls section of Lisbon. Bertha's son, Cecil Waitstill Mann, was born November 5, 1900 at Lisbon Falls, Maine. On June 17, 1922, presumably at Livermore Falls, Maine, Cecil married Lucille Augusta Ramsdell, daughter of Bennett Ramsdell and Ida (Garrett) Ramsdell. 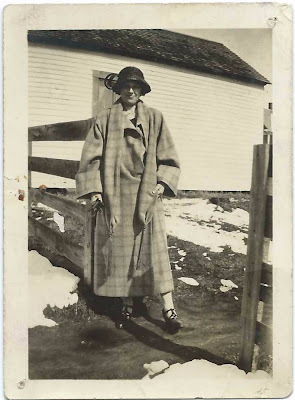 Lucille was born April 11, 1898 at Farmington, Maine. 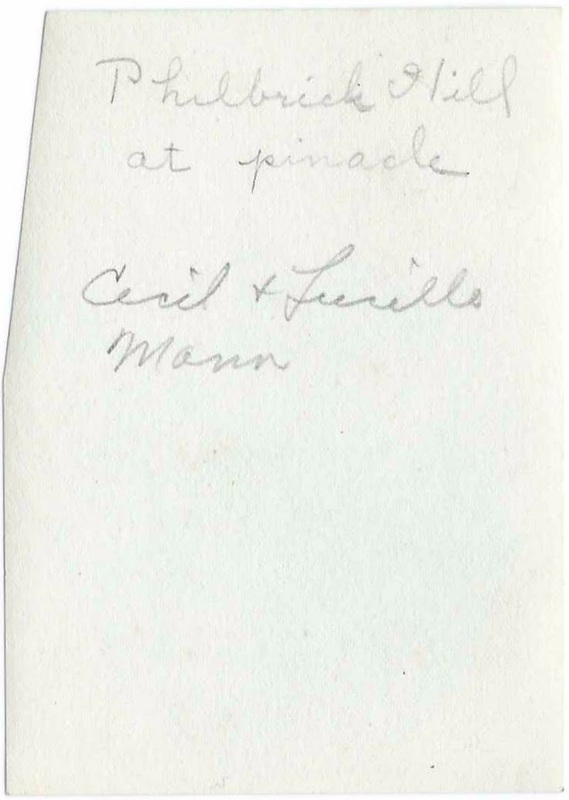 Cecil and Lucille lived at Livermore Falls, Maine, and had, I believe, two children, both daughters. 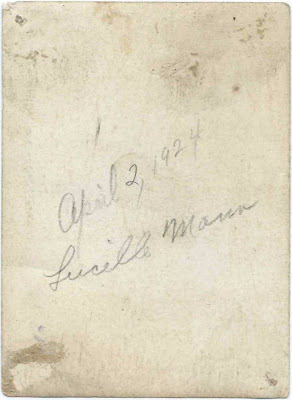 Lucille is presumably the Lucille A. Mann who died at Waterville, Maine, in 1969. 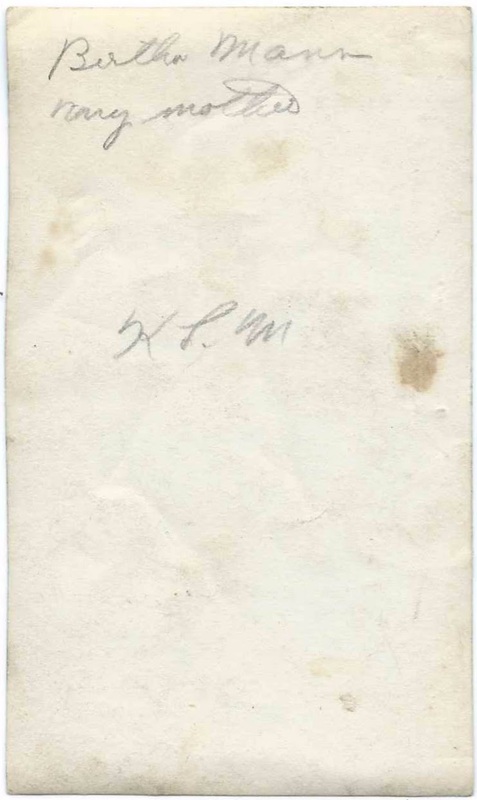 Cecil died in 1986. 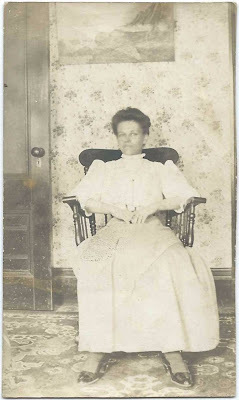 If you have corrections and/or additions to the information above, please leave a comment or contact me directly - though please be careful when commenting on living people.